San Francisco is quite unique, in that whilst it is large, in terms of its many amenities and attractions, it is actually quite a small city, from a geographical perspective. This is great news for tourists, as it means that they don’t have to spend hours traipsing from one attraction to another, as many sights are within walking distance of each other. 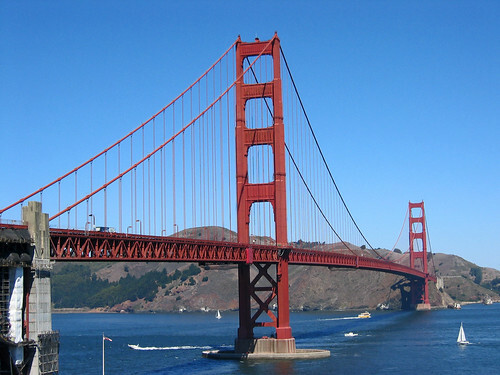 The Golden Gate Bridge is probably one of the most iconic structures in the USA; spanning over 1.7 miles, hundreds of thousands of vehicles travel across it each day. However, you don’t need a car in order to visit it, as there is a safe pedestrian pathway along the side. The views from the bridge are quite spectacular, and it’s certainly worth a visit if you love architecture and beautiful scenery. Pier 39 is located in Fisherman’s Wharf; this waterfront marketplace is a favourite with many customers of Away Holidays. There are lots of shops and stalls to be found here, as well as street performers, dancers, live music, and even a community of wild sea lions, who reside in the waters by the pier. This is a lovely place to while away a few hours on a sunny afternoon and it’s just a short distance away from Ripley’s Believe it or not odditorium and the Wax Museum. However, if you’re in need of some serious retail therapy, it’s best to head to Union Square; this is where you will find the top designer boutiques, including Powell, Stockton, Grant and Sutter, as well as all of the major departmental stores. Westfield shopping centre is home to some of the largest branches of Nordstrom and Bloomingdales. If you find yourself missing Europe, then a trip to North Beach could be your best bet! This is San Francisco’s Italian quarter, and is not actually a beach, but rather a collection of charming European-style shops, restaurants and cafes, located around Washington Square. It is here that you’ll find the stunning Church of Stain Peter, as well as Coit Tower. If you climb up this tower, you’ll get to enjoy some beautiful views of the Bay and the city’s bridges. Away Holidays clients note that the tower itself is also quite beautiful, with murals which stretch from the floor to the ceilings, and depict scenes from the city during the 1930s. This entry was posted in Away Holidays, Best Holiday Package Offers, booking a holiday, dream holiday, dream holidays, Holiday, Holiday Destination, Holiday Package, holidaymakers, package holiday, tailor-made holiday, Travel Agents, travel insurance, Vacation and tagged Away Holidays, Away Holidays destinations, Away Holidays global destinations, famous landmarks, Golden Gate Bridge, Holiday Destination, Must-See Sights of San Francisco, popular attractions, San Francisco, Top Destinations on October 21, 2013 by Editor. Las Vegas is the self-proclaimed ‘entertainment capital of the world’, and it is exactly that characteristic audaciousness that has inspired the city’s unique array of bombastic hotels, glamorised gambling and over the top entertainment. The success of Las Vegas sits isolated in the centre of the Nevada Desert, one of the USA’s most inhospitable regions. 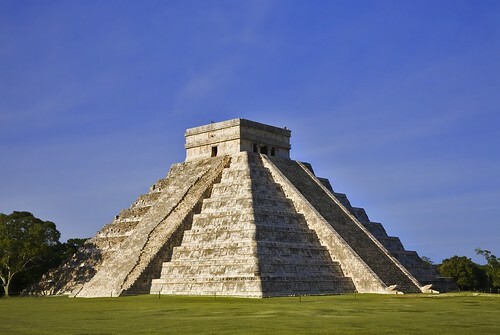 Most holiday hot spots tend to stick to temperate beaches, fascinating historical settings or beautiful national parks. Las Vegas has none of these natural attractions, yet still managed to become enormously successful. Until the 1940s Las Vegas remained an insignificant town in the middle of the boiling desert. 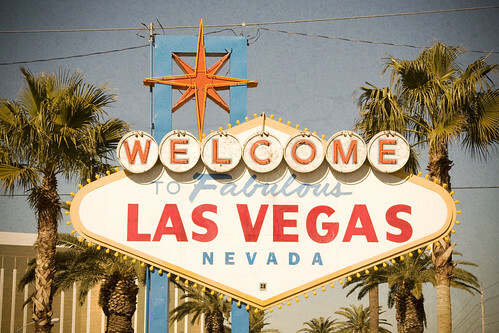 It was however the completion of the Manhattan Project and the advent of nuclear weapons that started Las Vegas on the road to becoming a tourist capital. As nuclear weapons testing was carried out in the deserted Nevada desert, nearby Las Vegas was close enough to watch the fireworks whilst far enough way to stay safe. So it was to witness nuclear bombs that people first flocked out to Las Vegas, and from there its hotel industry began. Thanks to New Mexico’s lax gambling laws each of the new hotels would include their own casino to give tourists extra entertainment. These casinos became popular with Americans who couldn’t gamble in other states and alongside the perceived glamour of gambling high stakes came a culture of drinking, dancing and showing off the fortunes people had won in the casinos. This is when the grandiloquent glitz of Las Vegas originated. As time moved on the hotels grew, their casinos grew and so did the entertainment. No star could be too big and so hotels began spending vast sums on stars such as Elvis Presley and Frank Sinatra, until the city also became synonymous with glamorous entertainment. So today Las Vegas is a destination like no other. It has giant hotels, spectacularly gaudy furnishings, extravagant casinos and spectacular entertainment. A sophisticated city it may not be, but it’s certainly unique and bold enough to be worth visiting at least once. 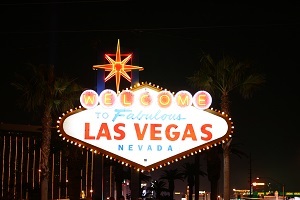 Flights and hotels in Las Vegas can be booked through Away Holidays. Away Holidays offer great deals for a range of hotels across Las Vegas and, thanks to their dedicated staff; Away Holidays will always offer great prices. This entry was posted in Away Holidays, Best Holiday Package Offers, booking a holiday, dream holidays, Holiday, Holiday Destination, Holiday Package Offers, package holiday, Travel Agents, Vacation and tagged Away Holidays, Away Holidays destinations, Away Holidays global destinations, Best Holiday Package Offers, dream holiday, Entertainment Capital of the World, Holiday Destination, Las Vegas, Las Vegas: Growth of the Entertainment Capital of the World, travel, Vacation on October 7, 2013 by Editor.